Dr. Irene McAleer completed her pediatric urology fellowship at University of California, San Diego after successfully finishing her urology residency at the National Naval Medical Center, Bethesda, Maryland. 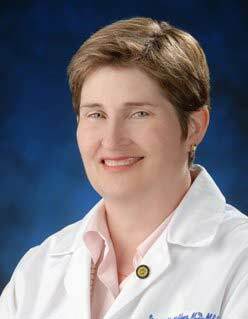 She is board certified by the American Board of Urology with a sub-specialization certificate in Pediatric Urology. She has practiced Pediatric Urology for more than twenty years, in addition to publishing over 65 journal articles and book chapters. She has a particular interest in antenatal genitourinary conditions, medical and surgical management and diagnosis of vesicourinary reflux, urinary obstruction and duplication, hypospadias and intersex reconstruction, as well as an interest in endoscopic treatment of pediatric stone disease. Other non-medical education experience includes obtaining a Masters of Business Administration from the Edinburgh Business School, Heriot Watt University, Edinburgh, Scotland as well as obtaining a Juris Doctor degree from Abraham Lincoln University School of Law and successfully completing certification by the California Bar for admission to the Bar. She brings her expertise and experience to CHOC to complement the Pediatric Urology Department’s advancement in the urologic care of the children of Orange County.